Is Facebook Making You Frown? Social Media Marketing Is a Ton of Work! Seems like a lot of work huh? Well it is, and it doesn’t just stop there—with your new social media sites your company needs to adopt a social media policy for internal and external communications. A key point to keep in mind as you dive into social media, “don’t ban what you can’t stop.” Social media is not ending anytime soon, in fact recent statistics state the sites are still growing at a rapid rate, “Two yeas ago, 20 percent of survey respondents were using social networks and social media, now that figure is 66 percent,” (Research Report: Harnessing the Power of Never Media Platforms for More Effective Marketing, 2nd Edition. ANA 2009). For more information about the conference, visit our Web site. Not a day goes by without someone asking me, “Why do you use Twitter? It’s so useless. Why do I care what you are up to every second of the day?” Wake up people! You are missing out on engaging with and learning more about your customers. As Cynthia Ashworth, Vice President of Customer Engagement @Dunkin’ Donuts said, “We don’t have to justify Twitter. It’s free customer-service.” Indeed it is, Cynthia. It’s a free focus group and a cheap option for collaboration. As I try to keep up with the cutting edge marketing trends, I enrolled in a two-hour course on Twitter Love where I learned how marketers can utilize the microblogging Web site to promote their products and services, research consumer insights, improve customer service, converse with and engage their customers, and group collaboration. For instance, @JetBlue is using Twitter to help improve customer services and teamwork across business units. As a customer service tool, Twitter’s benefit is that everything people say about your product/service is public on Twitter and is easy to find via using their built-in search tool. This makes Twitter an instant focus group with over 10 million participants, many of whom are your customers. Collecting customer feedback via Twitter is easy and effortless, especially when you compare it to the number of responses you get back through email surveys. Zappos is using Twitter to make personal connections among employees, and between the company and its customers. For those marketers who want to improve their corporate culture and customer service, Twitter is a great tool. So just like there was Facebook and then came LinkedIn, a professional social networking Web site, Yammer is like Twitter for business. Yammer offers groups for discussions on a subject between people in the same workgroup. It can connect employees from different departments, so if you work in a 500+ company, you won’t feel like just a number anymore. Although some may argue that Twitter and Yammer may be distracting and may affect employees’ productivity, it can, if used moderately improve corporate culture by connecting employees to one another and letting them know what the organization is up to, its achievements and pretty much anything. TweetLater.com – helps you in following everyone who follows you; includes auto DMs and a tweet scheduler. Twitter Karma - keeps a follow-to-follower ratio in order for you unfollow those who are not following me, with a few exceptions. TwitterCounter - see my followers in graph form. It also predicts how many followers you will have in 30, 90 or 365 days. TweetDeck – as an Adobe Air app, TweetDeck allows you to see your @replies, direct messages, timeline, and a lis of folks you follow whose Tweets you want to make sure you read. You can also use it to update your Twitter and Facebook accounts simultaneously. I use and love this tool! PS. Download our most-read 101 on Marketing with Twitter. As a former employee of AOL and a few other hi-tech companies, I have always felt the need to be on top of whatever new technology that comes my way. It could be said that I wanted to be an early adopter from an early age (well, as early as I could get, considering that I typed my last senior high school English paper on an IBM Selectric typewriter, but I digress.) Social media and user generated content seems to be all the rage now. I will fully admit that I do the occasional status update on Facebook and give a peak (to my friends) on what is happening in my life at that point in time. From time to time I will also post the lyrics to certain songs (or YouTube videos) that I know will get stuck in people’s heads – it’s a public service that a few of us started a few years back and believe me, there are some whoppers that will take weeks to get out of your head. That brings me to Twitter. Some people absolutely love it and others have no idea why people would want to share all this information. Many companies are jumping on the Twitter band wagon and are utilizing this tool to inform, entertain and connect to their consumers. Consumers are utilizing Twitter to stay informed and to connect with a larger audience then they may have on other social media sites like Facebook and MySpace. I came across the following videos on YouTube and thought that anyone who has an opinion about Twitter would get a kick out of them. Let us know what you think! 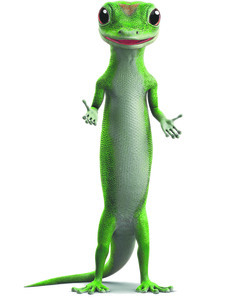 Having been around for almost ten years and gracing the screen with funny television commercials and 30-minute vignettes on National Geographic’s Dangerous Encounters with Brady Barr" and "Wild," Geico’s Gecko has become the most popular ad icon since Taco Bell’s Chihuahua brand mascot. In 2005 it was named the top advertising icon during Yahoo’s Advertising Week in New York. This week, Geico launched a new marketing campaign that combines viral video stars such as the “Numa Numa” guy, Gary Brolsma with the green lizard. The campaign is expected to release nine parodies of popular videos by April 9, three of which have already been created. The campaign created by The Martin Agency and promoted by Geico’s media agency, Horizon Media, is a new way to engage the viewers without bombarding them with direct response messaging. The parodies are featured on various video-sharing Web sites such as YouTube, Metacafe and Slide, next to the amateur-produced superstar originals. The views of the online videos are already racking up traffic numbers, but only time will tell whether or not these videos will generate leads and drive sales. You can watch the Numa Numa Kid's original lip-synch performance to the Romanian "“Dragostea din tei”" pop song here. Keep up with all nine parodies at http://www.youtube.com/user/itsthegecko. I certainly will! Marketing buzz is difficult to achieve, and not all products can be the next Harry Potter, or the Volkswagen New Beetle. Yahoo! is redefining the meaning of purple with its new viral marketing campaign, “Start Wearing Purple.” Contrary to the popular belief that purple symbolizes royalty, Yahoo! attributes the color to innovation and imagination. 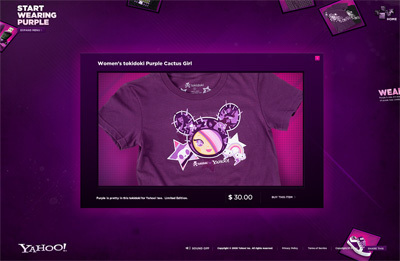 Startwearingpurple.com includes features such as "Celebrate Purple", "Purple Pranks", "Pioneers of Purple" and "Purple Picks.” “Pioneers of Purple” showcases mini-documentaries of influential personalities who epitomize individuality and innovative spirit of purple, a color that's been core to Yahoo! 's DNA since it began. From purple bikes with built-in solar power cameras and funny videos to purple sneakers and Ts, the web portal is engaging and has the potential to create buzz, but will this brand awareness campaign drive Internet users from its competitors to the soon-to-be launched new Yahoo! site? Check out how Yahoo! 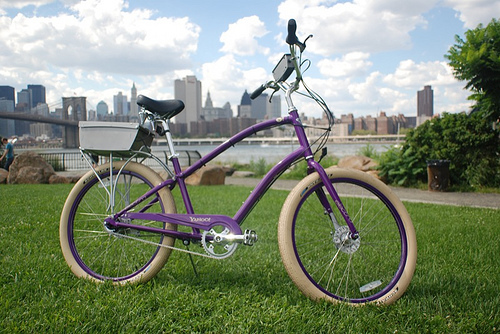 is 'purpling it up' through their Purple Pedals project. In light of President’s Week, I want post about the 2008 primary state of affairs as Barack Obama and Hillary Clinton slug it out for the presidential nomination. There are several things that interest me about this particular election, and it’s not the potential win of the first woman president nor the first black president. After all, we already had a black man and a white woman on the presidential ticket - Jesse Jackson in 1984 and 1988, and Geraldine Ferraro in 1984. What is is unique about this election is the viral online marketing campaign Obama has created. According to Time Magazine, no other campaign has tapped into social networks so aggressively, nor used the Internet to leverage the financial power of small donors. Earlier this month, Obama scored highest among Democratic voters, ages 18-30 in the New York primaries. Why is Obama so popular among young voters? Is it because today’s generation of voters is colorblind or is it the emotional connection that Obama has created with them through social networking communities? In one of his recent speeches, Obama stated that he wants to get people excited about politics again. I think he will achieve that--Obama is finding innovative ways to create a personal connection with potential voters, and to raise campaign dollars, using online social networks such as Facebook and MySpace. On Facebook, Obama has five times the number of Clinton supporters. Obama’s nearly 5-minute video response to President Bush’s “State of the Union” address became the most viewed video in the world. His own Website also features a community where potential voters may organize their friends, neighbors and networks. Members can build their own profile, form affinity groups, host events, write blogs, and, of course, donate money to his campaign. Obama even has his own user-generated channel called YouBama that features Obama supporters spreading the word on why he should be the 44th president. His online campaign has not only earned Obama $5 million more in donor dollars than Clinton’s fundraising efforts, but also allows him to gauge the pulse of his audience and know where to steer his campaign. So, who will win the democratic nomination? The candidate with a recognized brand name and relevant experience or the fresh face candidate who has superseded traditional advertising with buzz marketing, and as a result, leads the primary fund raising race? Earlier this month, Facebook launched its new ad system that allows advertisers to track users’ activities on the Website to deliver product referrals and target advertising. With a recurring theme of behavioral targeting at last month’s ANA Annual Conference and industry headlines that consumers must be part of the brand, Facebook is up to something. Embracing a most powerful form of advertising, word-of-mouth-marketing, the idea is that consumers are more likely to trust a recommendation from their friends rather than from a 30-second TV spot. The only question I beg to ask is, “Why would anyone publicly disclose their shopping habits, unless they were getting paid for it?” Facebook might have to throw serious discounts or perks to win participation. Facebook’s new ad system has also raised some privacy concerns. Although Facebook does not ask users for permission in way that lets them know that they might appear in an ad, it will not share any personal information with the advertisers. And it is a personal choice for users to sign on as fans of a company. 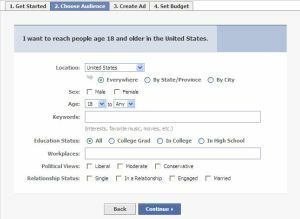 The new ad system presents a major opportunity to tap the high disposable income student demographic currently using Facebook. You can create relevant ads according to users’ interests, relationship status, education status, etc. For instance, if you are a recruiter looking to fill a position and want to hire people from specific companies, you can target people based on what company they are employed by. If you are an advertiser promoting wedding consultancy business, you might want to target those who have, "Engaged” under their relationship status. When it comes to online, the power clearly lies in the hands of the consumer – from growth in user-generated content to Facebook’s new ad system, we are witnessing a transformation in the nature of advertising.